Comment: Our house is a typical two-story colonial 2,000 square foot home. It currently has painted cedar shingles. I am looking to have them replaced with vinyl siding. We recently have had new double pained windows installed. Comment: Replace some broken panels. Trim and a corner . I have the siding for the repair . Comment: Replace Tyvek and one siding piece at top of house, and replace Tyvek and flashing/siding over one door. Bethel Siding Contractors are rated 4.72 out of 5 based on 1,108 reviews of 37 pros. 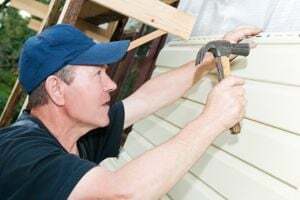 Not Looking for Siding Contractors in Bethel, CT?